We warmly welcome all medical students. Our faculty, residents, and staff are dedicated to sharing our knowledge and enthusiasm for surgery with students at all levels of training to ensure a rewarding and educational experience. Interested in surgery and want to learn more? 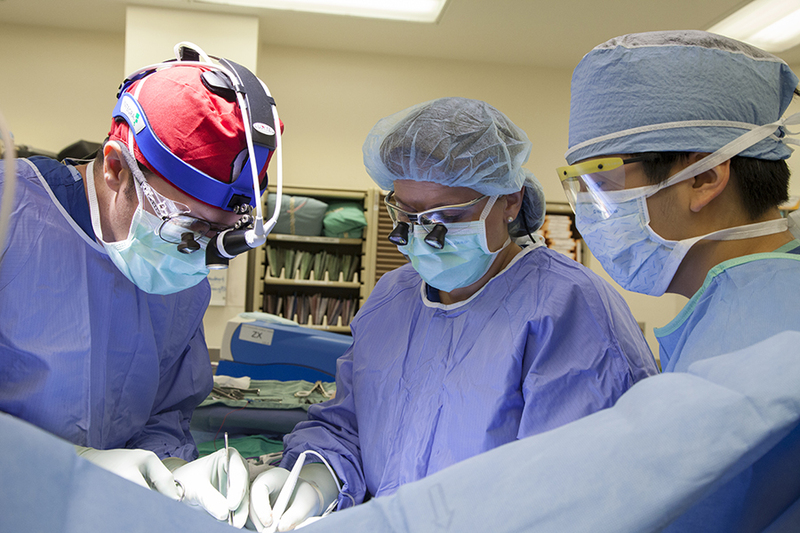 Phase 1 students are invited to be a part of our various Surgery Interest Groups, which provide an opportunity to connect with Department of Surgery faculty and residents, as well as partake in hands-on skills workshops and Surgery advising. Pre-clinical students are eligible to take part in a short-term summer research experience in research related to diabetes, obesity, endocrine disorders, nutritional disorders, digestive diseases, liver disease, kidney disease, and urologic disease. All Phase 2 medical students rotate on the Surgical and Procedural Care block, where they have the option to rotate on one of seven General Surgery teams and 11 sub-specialties. Phase 3 students may participate in a Surgery Inpatient Acting Internship, various electives on our General Surgery and Sub-specialty services, and our Basic Science and Public Health electives.